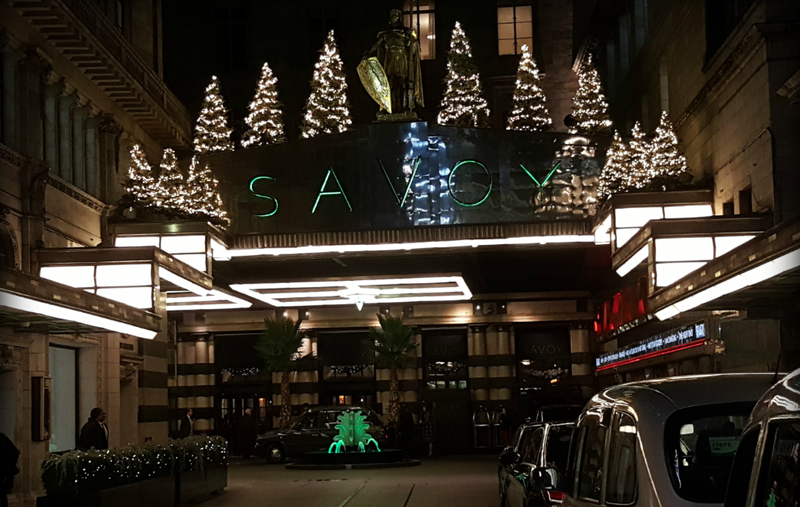 On Thursday, it was time to lose the wellies and put on the glad rags, to attend this year’s Garden Media Guild awards at the Savoy Hotel, London. With the garden blogging community growing, there is so much talent out there to get excited about. From podcasters to writers, the standard’s getting higher and higher, year on year. Agents of Field won the prize for ‘Blog of the Year‘ in 2016, so this year was all about relaxing, having a good time and meeting some of the faces behind the blogs and podcasts that we enjoy. I had been particularly excited to meet Dublin-based garden designer, Peter Donegan. For those who don’t know him, check out his podcast, The SodShow. The man has all the charm of the Irish. Peter is a people person, and has a knack for getting the most from his interviewees. With both an engaging manner and incredible horticultural knowledge, you know you’re in good company. He introduces his listeners to new corners of the horticultural landscape that you wouldn’t otherwise know existed. The show has been going since 2011, and continues to go from strength to strength. Nevertheless, I do feel it’s worthy of a more mainstream platform; The SodShow on telly, now that’s something I’d like to see! The Alan Titchmarsh New Talent Award went to Charlotte Petts, presenter of Growing Wild on Radio Reverb. We hadn’t heard of this podcast before, but can’t wait to tune in. A blog that has grabbed my attention is Grow Like Grandad, created by Matt Peskett. Taking inspiration from his Grandad, Matt has gone on to become a great gardener. His blog is full of wonderful articles and photos from his family past. It was great to finally meet Matt. He was quick to tell me, ‘I love digging’ and I knew I was going to like this fella after we discussed the physical, mental and horticultural benefits of this solitary task. Matt Peskett, you’re a man after my own heart. This year, ‘Blog of the Year’ went to Jack Wallington. As soon as you meet Jack, you can’t help but smile. Despite being a modest fella, Jack oozes talent. He’s a garden designer that specialises in ‘future gardens using contemporary design’. Although our conversations were brief, I look forward to seeing him in the near future to talk Dahlias, something he’s very passionate about. 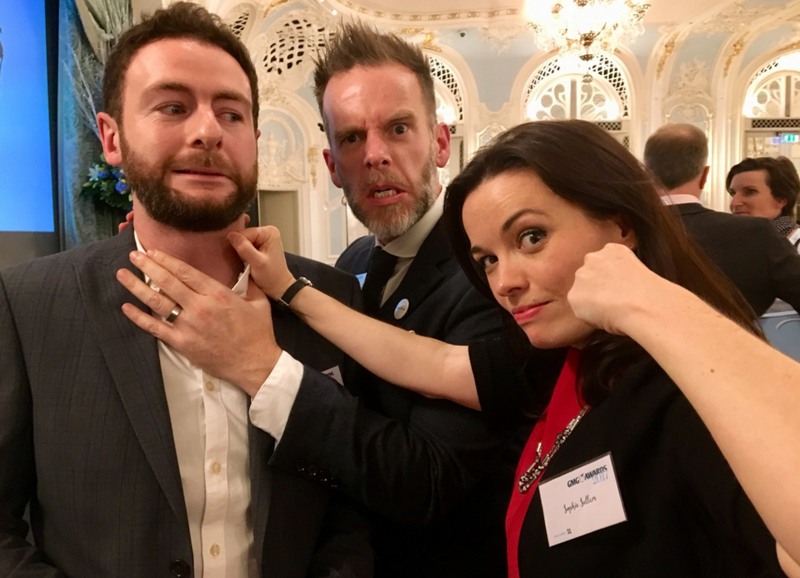 As you can see, Soph and myself were only too happy to hand the ‘Blog of the Year’ baton to him. No sour grapes.. honest! (Thanks for the photo Emma). Other bloggers and podcasters who deserve an Agents of Field medal are; Jane Perrone, Garden Ninja, The Chatty Gardener, Dog Wood Days, Barbara Segall, Life at No.27 and of course last, but by no means least, Agents of Field’s pal, and fellow cake lover, Andrew O’Brien. 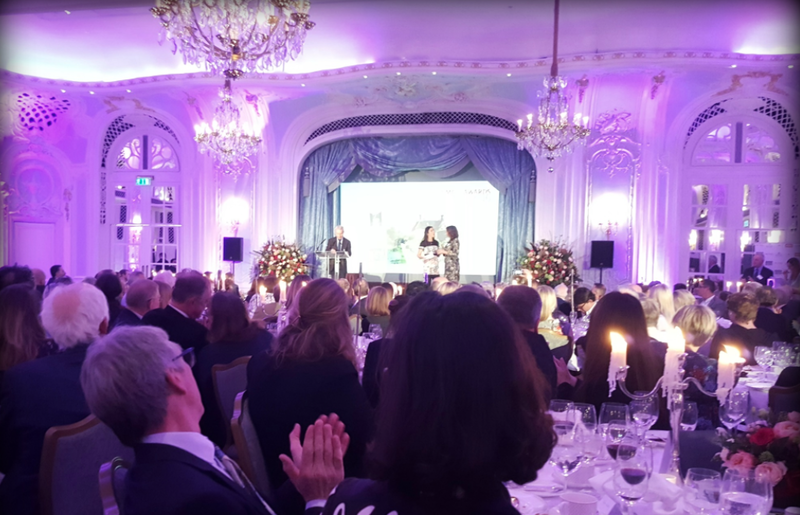 In all, it was a grand day, wonderfully organised, and it was great to see the horticulture heavy-hitters stepping out and receiving their awards. Bloggers and podcasters are still relatively new to the garden media world; we’re still doing the groundwork to be properly recognised in the industry, but we’re getting there. It’s a great name, and a great show too. Charlotte Petts sounds like a woman after my own heart. That’s good to hear, she’s very talented, and lovely to talk to. Thanks Agents of field for the cracking review of Thursdays awards!! Great to finally meet you and so many other talented bloggers. I’ll be basking in being the runner up for New Talent. It helps push my northern underdog agenda in gardening blogging. Hahaha. Fantastic event though and such great engaging people. Catch up soon!! Lee The Garden Ninja. It was good to see you both although I’d lost my voice the next day – we garden writers and bloggers are a noisy lot!